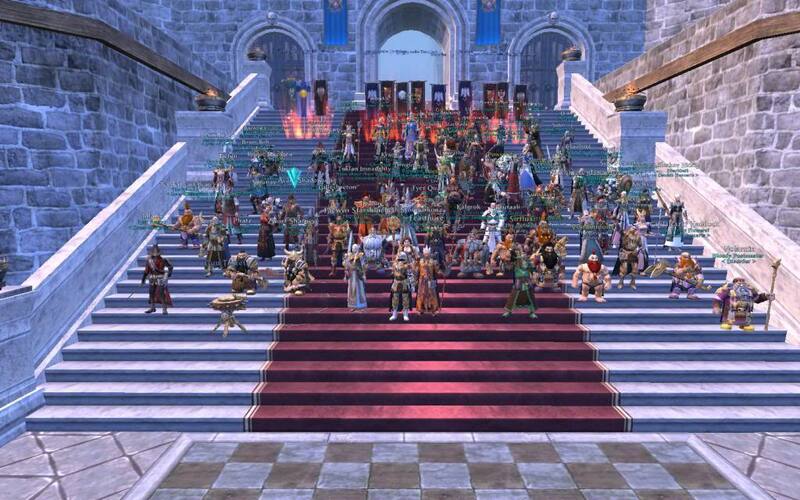 Warhammer Online is ending its eight year run it announced in a message from its development team. The Online Games Workshop licensed MMO has be in decline for the past seven years after it was released by Mythic Entertainment in 2008 after being plagued by server load issues in the its RvR system and numerous bugs and class balance issues. The message from the developers said: “Unfortunately, as with all licensing deals they do eventually come to end and on December 18th, 2013 we will no longer be operating Warhammer Online.” Warhammer Online who enjoyed a 300,000 subscriber base in February 2009 then refused to give any more subscriber numbers after that point, possibly because Mythic Entertainment was to be sold off to Electronic Arts in June 2009. In 2010 Community Manager for Warhammer Online Kai Schober said in response to a post I made: “Apart from the obvious financial aspect for the company and the chance to have someone to fight against, is it really important for you how many subscribers WAR has?” Well apparently it is important, because if you aren’t making money you make a loss and loose the IP… At the time Kai Schober “didn’t care to ask” about the subscriber numbers at the time, perhaps it was this lack of business acumen on the Warhammer Online team that has led to its own end. Games Day is this weekend on the 29th September. I have been to a few of these over the last fifteen years, each year it has gotten better and better, this year there are a many things I’m looking forward to seeing. The Games Day model this year is disgustingly brilliant, literally the best Games Day model I have ever seen. I’m hoping to see much more in the way of Space Marine wonders this year, especially as the new Codex was released recently, last year we saw a full sized Drop Pod and Rhino on display, and a full chapter of the Ultramarines on display (as models). Armies on Parade should be fantastic this year, some stores standards are a bit lackluster, but I believe that it seems that every year they get better. Golden Demon is also good, but I find that the ceremony is always a bit rushed, I would like to see a presentation by some of the Games Workshop developers just before, perhaps outlining some of their plans for the next year. Fully Licensed Partners… Looking forward to meet the new kids on the block! Since THQ and Bioware Mythic will not be showing their faces there, THQ who unfortunately went out of business, (I highly doubt Mythic will, or there will be stocks and rotten fruit made ready at my expense). Full Control who have made a faithful (to the rules) game of Space Hulk, which I welcome with open arms, it is a solid playable game which could use some polishing. Nomad Games will be appearing also, I had not heard of them before until I saw Talisman announced for the end of the year, which will be on iOS, Android and PC this winter, I’ll ask if it will be on Steam. It sounds like it will be very much like Warhammer Quest I will make sure to ask them some more revealing questions and perhaps get some hands on experience of the game. Yup, probably Dark Elves judging by the art and it being for Warhammer Fantasy. I was under the impression from last year’s Gamesday that it would be Wood Elves this year, but again, Wood Elves and Bretonians seem to be untouched. I suspect we will be seeing a completely plastic army and new codex for Dark Elves, but I suspect we will be seeing more this Games Day. Tagged Bioware Mythic, comment, Dark Elf, EA, games day, Mythic Entertainment, news, Teaser, UK, War gaming, Warhammer, warhammer onlineBookmark the permalink.